The weekend is here – finally! Whether you’re going to be out and about looking for new grub or the couch and Uber Eats are calling your name, you want to have the best of the best. Toyota of North Charlotte is here to help! 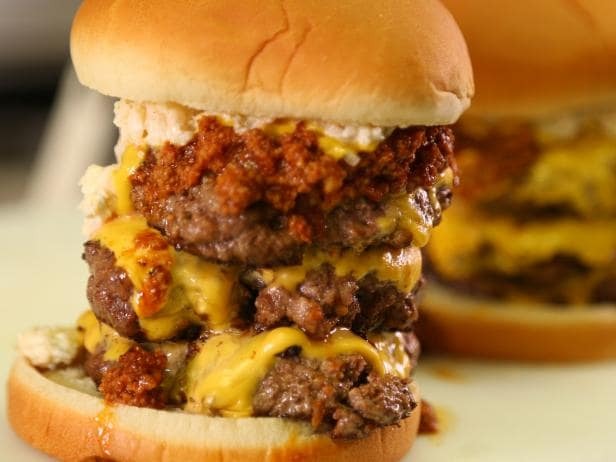 This week we’re talking our top 5 burger places in the Charlotte area – check it out. Looking for something a little upscale to curb your burger craving? Check out this Charlotte burger place. 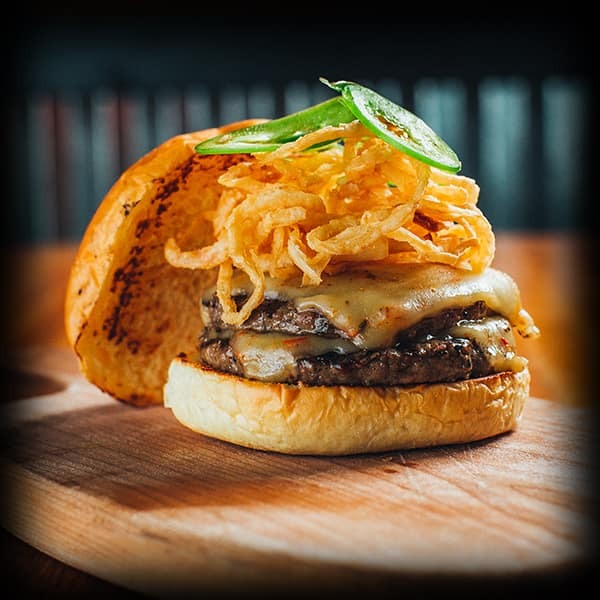 They use Artisan Brioche buns, locally sourced toppings, and patties made from black angus chuck and short ribs. 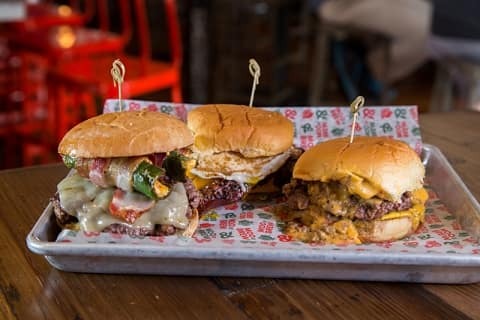 You’ll love options like the original Bang Bang Burger, the Cowboy Burger, and the TNT Burger. The menu also includes a low-carb burger bowl as well as a cheeseburger egg roll and local craft beers. There are two locations, too – one in South Bend and one in Elizabeth. It may not look fancy, but don’t let that fool you – this Charlotte southern comfort staple founded in 1975 is renowned statewide for its incredible food. It may not be a burger place specifically but just wait. 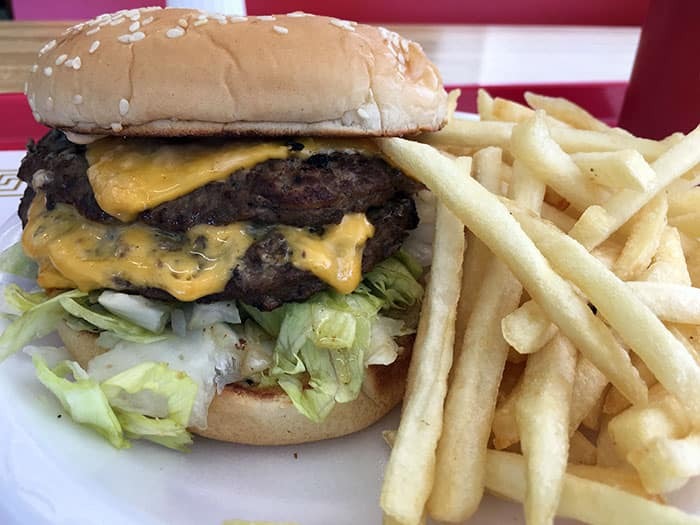 The burgers are basic – hamburger, cheeseburger, and doubles of both – and includes other options like hot dogs, BBQ, grilled and fried chicken, and more. All of the food is super affordable and you can wash it all down with a milkshake or malted shake. Plus, there’s outside seating so you can soak up the sun all summer long. This burger and beer joint is perfect for whiling away a Saturday afternoon. Not only are their craft brews on tap , you’ll also find tons of food choices. Kick the meal off with cheese curds or jalapeno firecrackers before you move onto the main event – the burgers. Try the Moo & Brew, Farmer’s Daughter, Way Out West Bison Burger, or the Peter Piper. This burger place is located on Central Ave in Charlotte. Pinky’s Westside Grill is popular because of its eclectic vibe but also because of its incredible food. At this burger place, you can start with appetizers like buffalo wings or crab puppies, but save room for their specialty – the burgers. Choose from options like the Pterodactyl Burger, The Mammoth, the Patsy Melt, and the Asian Pork Burger. Finish things off with one of their specialty cocktails, like a Junglebird or French 75. Pinky’s has two locations – one in Charlotte and one right near us in Huntersville. Cowfish is an interesting mix – it’s a burger place AND a sushi bar. Get your fill of sashimi to start and cap off the meal with burgers like the Texas Longhorn, the Local Yokel, the Screamin’ Korean Chicken, and the Apple, Brie, and Berry Burger.You can also mix things up even more and try “Burgushi” – trust us, it’s better than it sounds. Cowfish is located in Charlotte. Wherever your weekend adventures take you, we hope there’s a juicy burger in your future. Enjoy it!